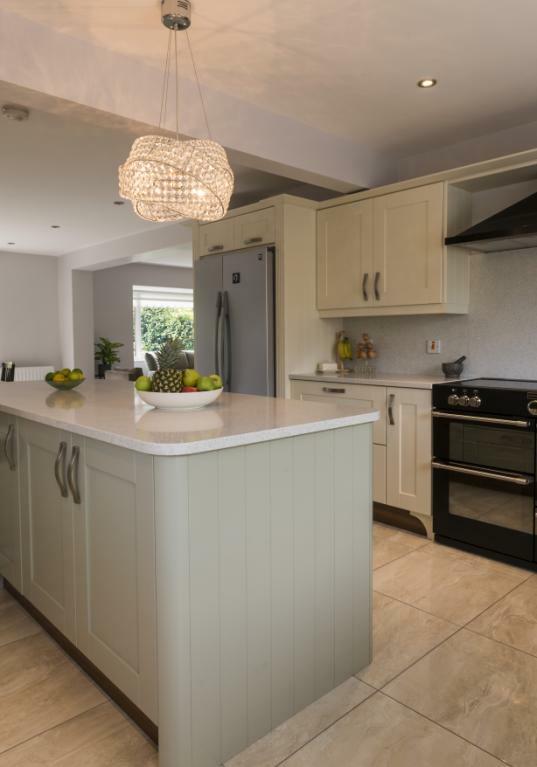 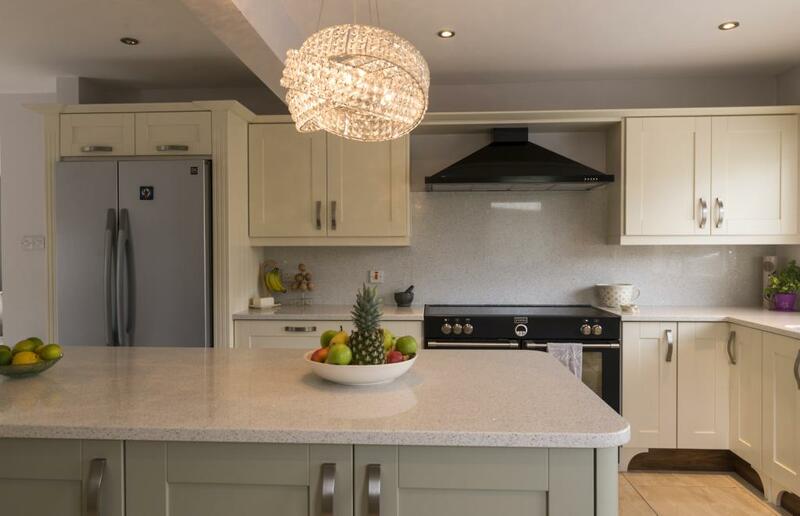 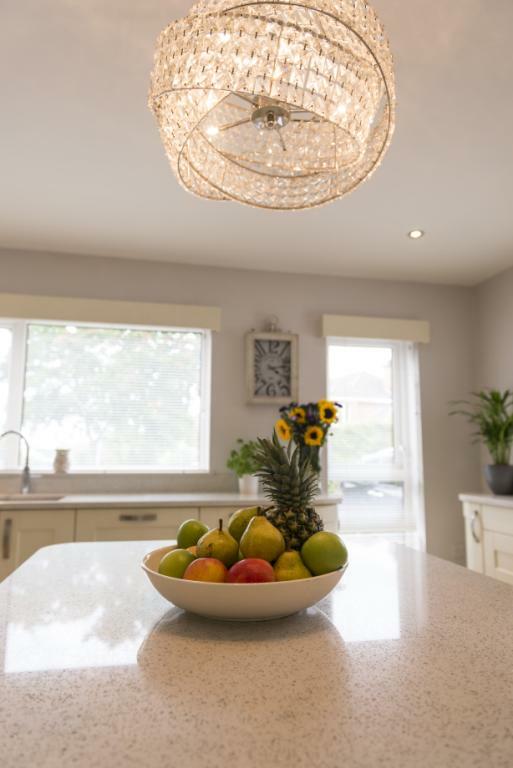 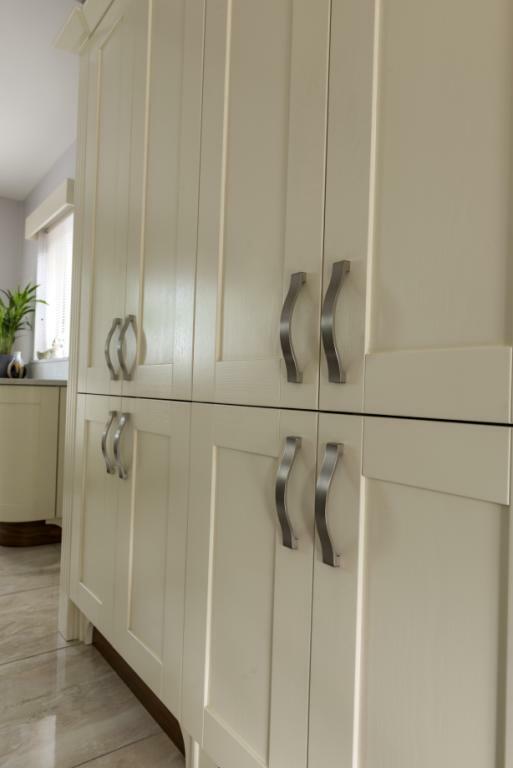 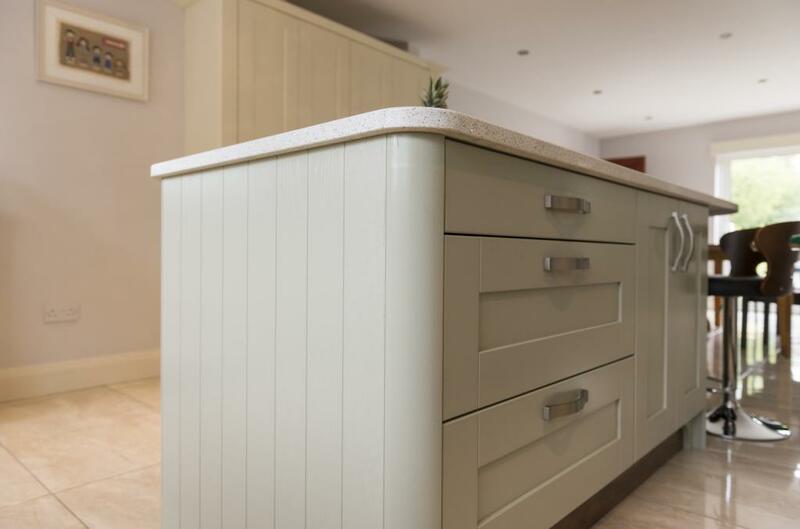 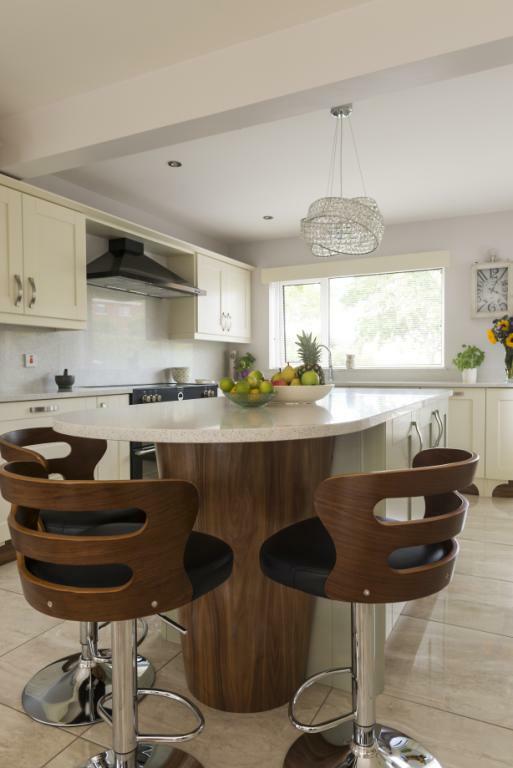 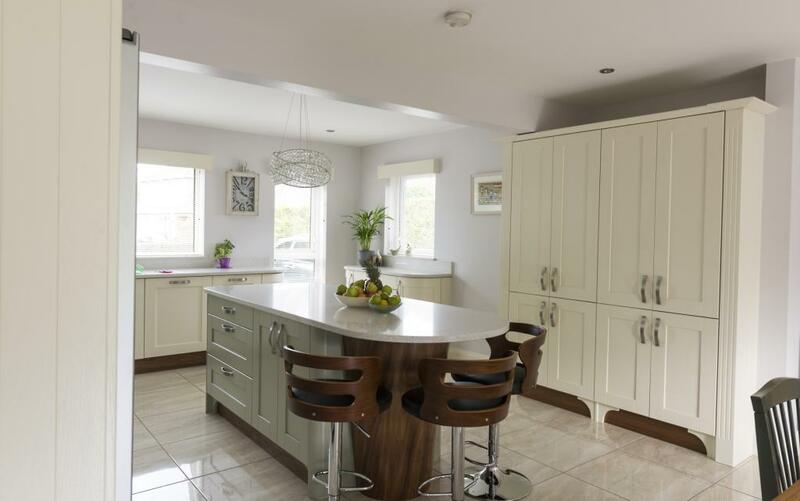 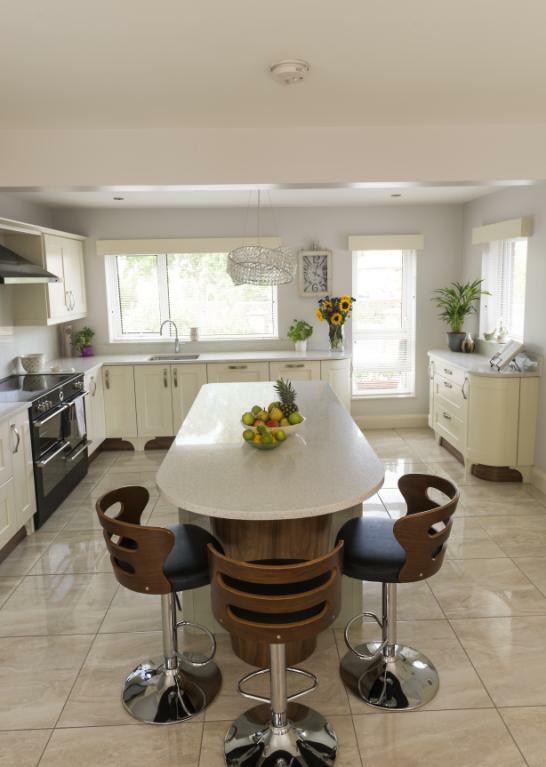 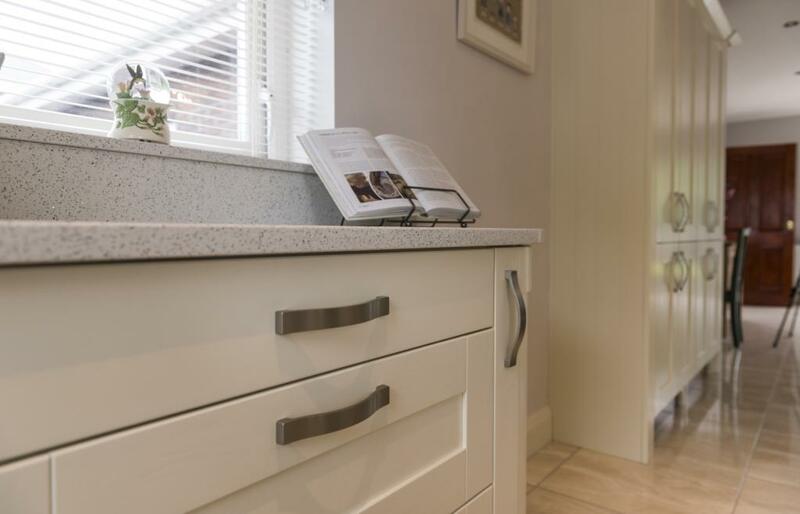 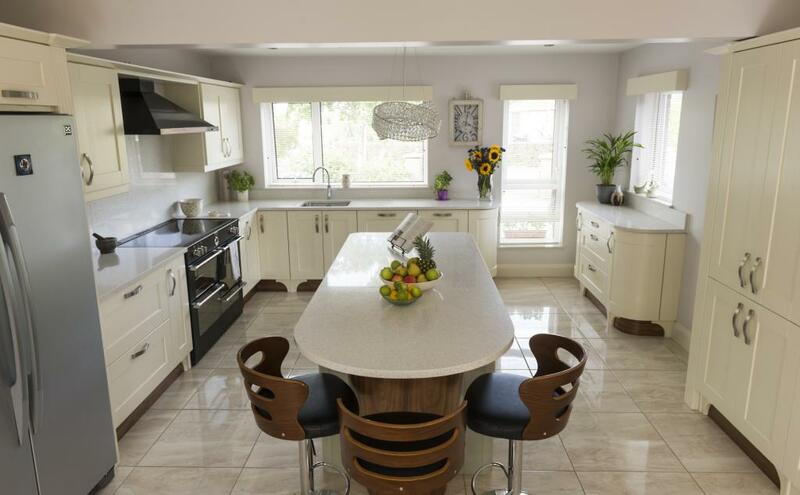 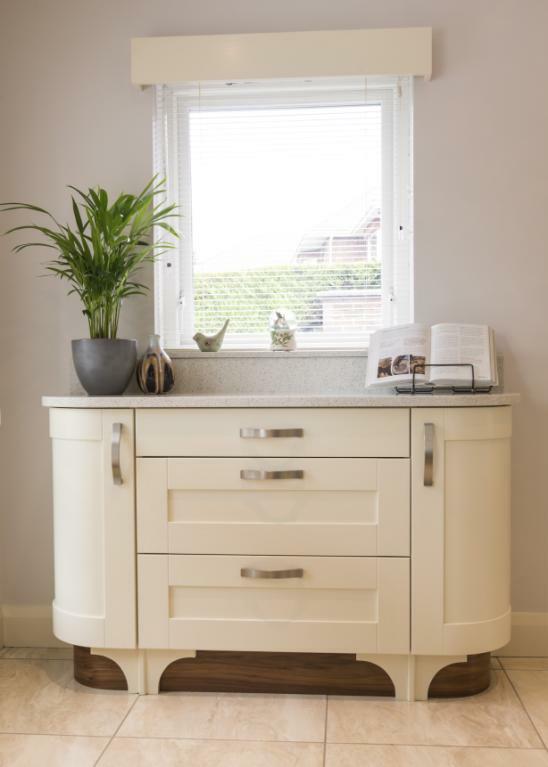 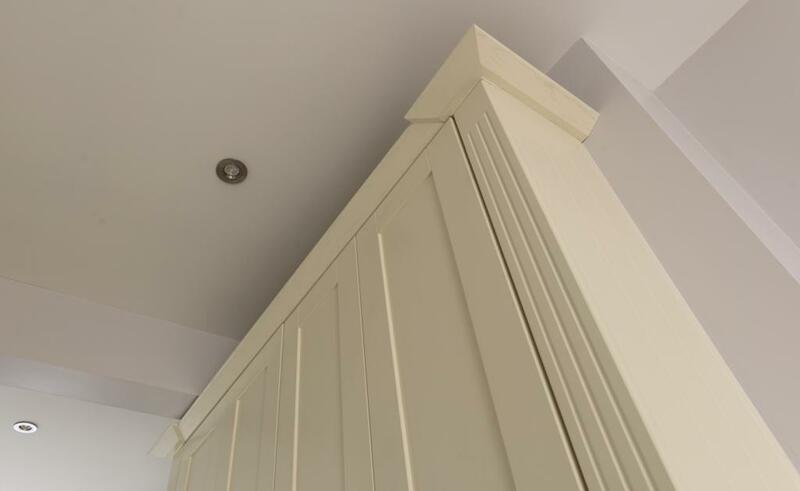 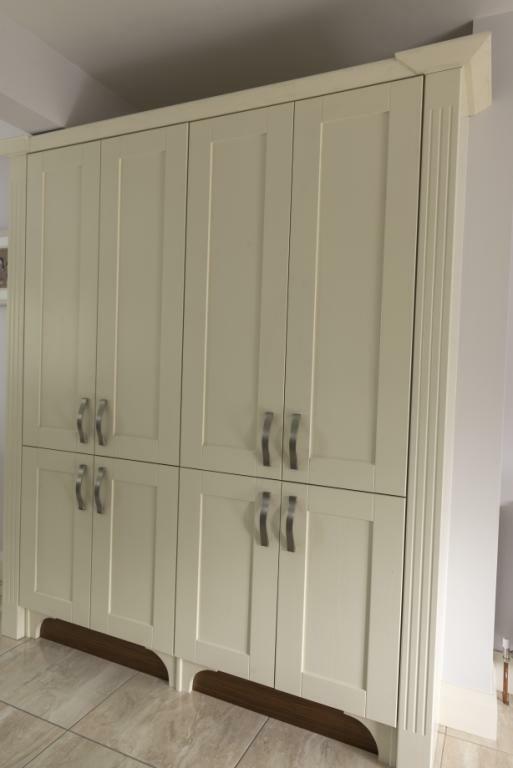 Solid wood kitchen, painted ivory colour on main units and sage colour on on island unit. 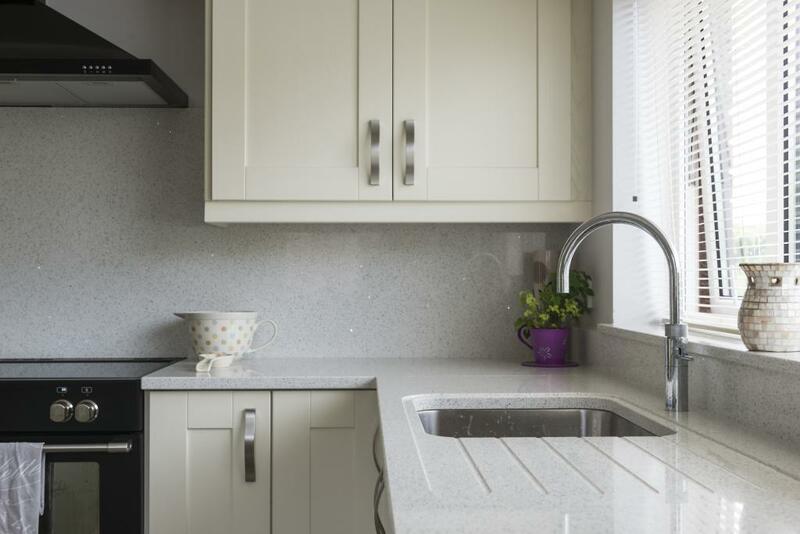 Quartz (Starlight White) worktops, splashback and upstands. 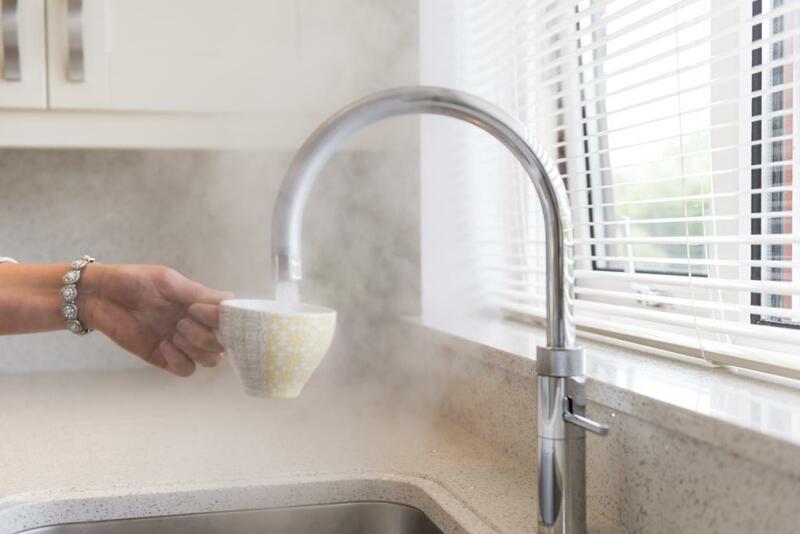 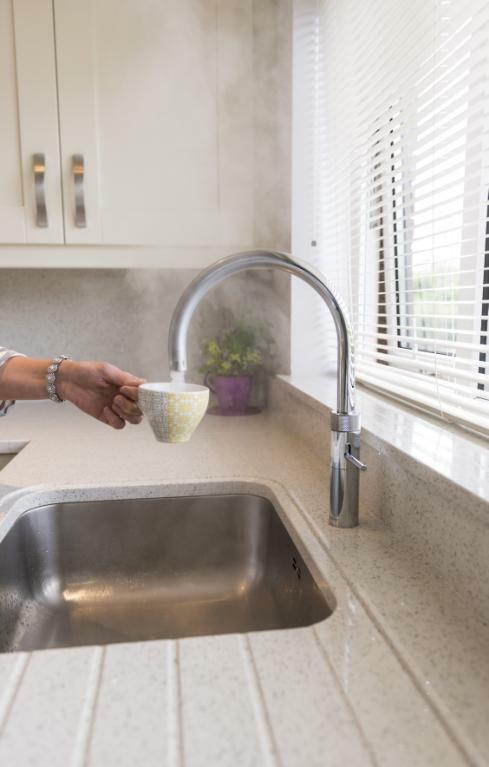 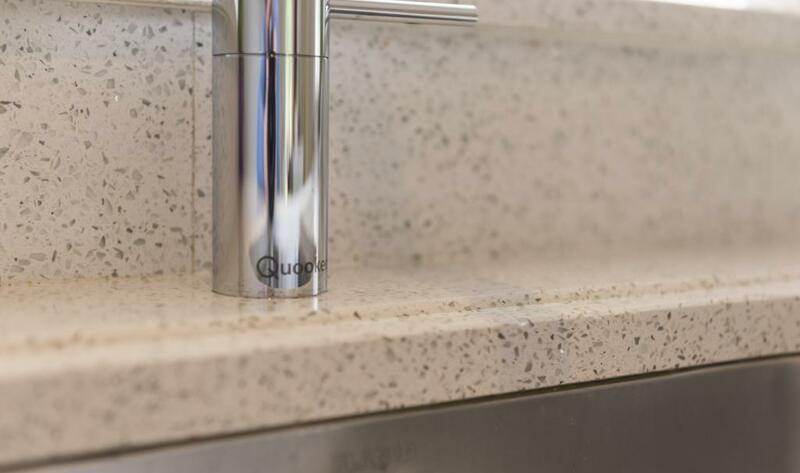 Fusion round Quooker tap.